Olfactory bipolarity, a perfume holding you hostage with assault weapons, Michelle Pfeiffer in “Married to the Mob,” 80s big hair, prepubescent girls, Pantene, and generic facelessness that “is not worthy of the Lutens name” — you better hold on, because this is going to be a bumpy ride. 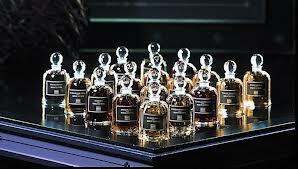 All those disparate things (and more) are reactions to Serge Lutens’ Nuit de Cellophane, and not just from me, either. This is a perfume that gave me olfactory whiplash, and whose opening almost verged on the oppressive. It takes a lot to make me cower, but I would have whimpered like a child, were it not for an extreme shift due to the aforementioned bipolarity. 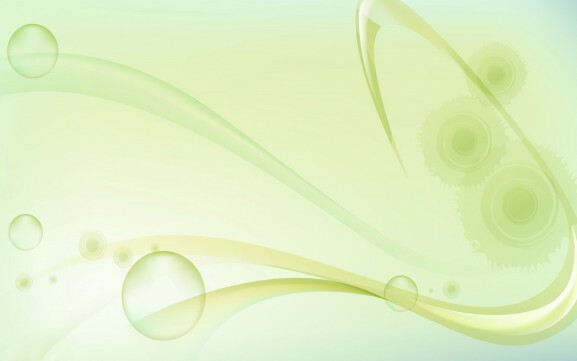 Green note, fruity note, jasmine, osmanthus, carnation, lily, muscs, almond, wood, honey. I first smelled Nuit de Cellophane on a paper strip in Paris at a Sephora boutique, and I really liked its plummy sweetness. It seemed heady, and like a very opulent fruity-floral. On skin, though…. Oh God. Oh God. Nuit de Cellophane opens with the aforementioned plums, followed by something akin to mandarins, and apricots. Seconds later, a metallic, dewy blast of white lilies arrives on the scene, accompanied by the fiery bite of red carnations and something that smells distinctly like a big, fat, white peony rose. It’s a visual of heavily petaled, loud whiteness tinged with vermillion, as if blood were dripping from a long, taloned nail onto snowy flowers. 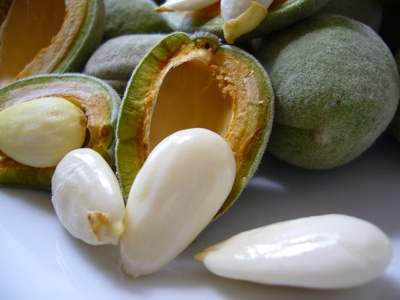 There is a subtle greenness to the scent, along with a concentrated bitter-sweet almond, but neither element is strong enough to cut through the intense florals. The whole thing is encased in fleshy orange, from pulpy, sticky mandarin oranges to a vaguely nutty apricot-peach. All of it feels extremely loud, and a thousand times more vulgar than anything that I’ve tried thus far from Serge Lutens. Part of me likes its unbelievably concentrated forcefulness, while the rest of me feels a little stunned at the assault. 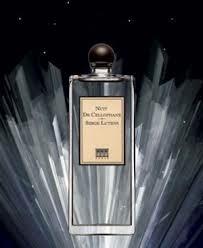 Five minutes in, a very metallic, synthetic element arises, making me wonder if Nuit de Cellophane was, in fact, the first in Serge Lutens’ recent line of quasi-metallic florals. 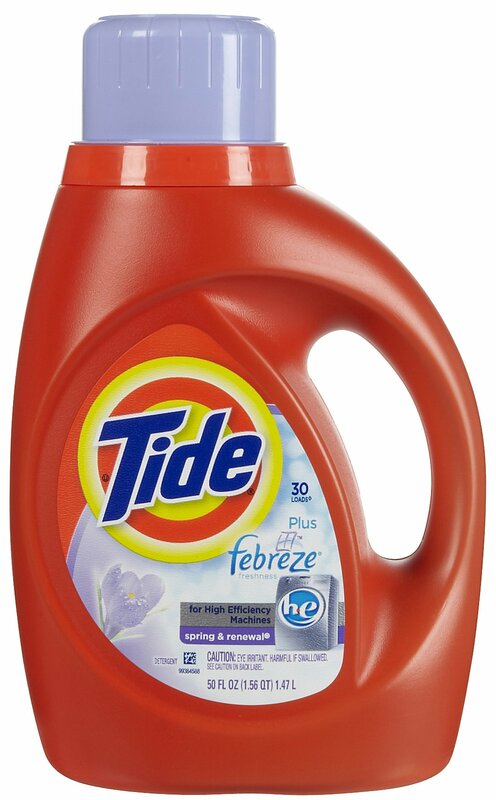 Here, the note smells simultaneously soapy, clean, like hairspray, and like shampoo, all in one. It lingers around the lily aroma that is increasingly overtaking Nuit de Cellophane and becoming the main note. I love white lilies, but the version here is really quite something else. 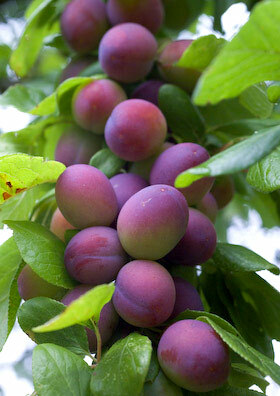 It is over-the-top in its sweetness on my skin, more dense and syrupy than even Lutens‘ Un Lys. At the same time, though, it also has a cool, synthetic steeliness and hairspray quality underlying it, something that wasn’t apparent in its lily sibling. 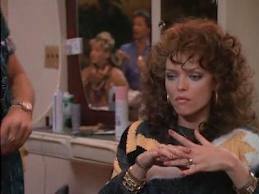 Michelle Pfeiffer in “Married to the Mob.” Movie still from Listal.com. Something about the overall combination continually makes me imagine a very big-haired, vulgar woman, like Michelle Pfeiffer’s character in the film, “Married to the Mob.” (It’s a hilarious film, by the way.) The connection in my mind stems from Nuit de Cellophane’s hyper-femininity, blowsiness, excess, loudness, and sweetness, with a very tough-as-nails swagger. And did I mention “big hair”? That too, especially as the floral hairspray element in Nuit de Cellophane keeps growing in volume. I do like Nuit de Cellophane a bit more than that description may sound, but not by much. And certainly not for long. The perfume just keeps becoming sweeter and more shampoo-like on my skin with every passing minute. I realize my skin amplifies both sweetness and synthetics, but this experience leaves me feel utterly overwhelmed. That’s pretty unusual for someone who likes such forceful, powerful scents as Amouage‘s Ubar, Fracas, and Opium. Nuit de Cellophane’s florals, however, will either stomp on you with 9-inch high, plexiglass stripper heels, or drown you in a vat of sweetness, holding your head down in syrup with the longest, crimson dragon nails. 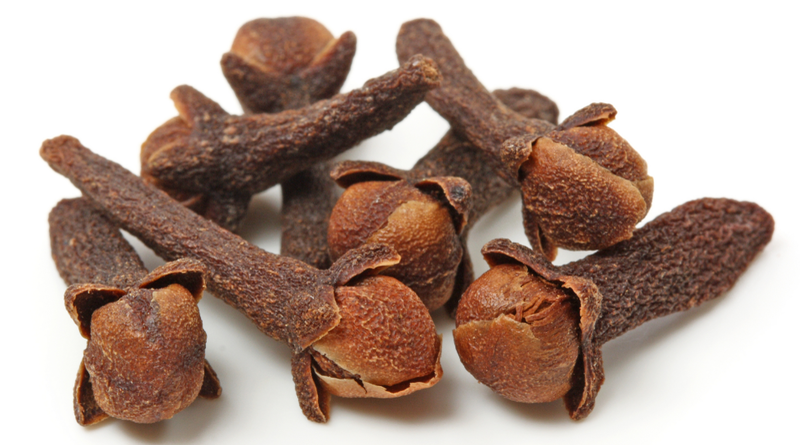 You’d think that the spicy, clove-like note from the carnation or he almonds would counter the sweetness, but they don’t. Somehow, on my skin, they merely add to the wild disparity, especially when the almonds take on a cherry-like subtext. 20 minutes in, I still didn’t smell the osmanthus, but the shampoo and scented hairspray tones were beating a steady drumroll. 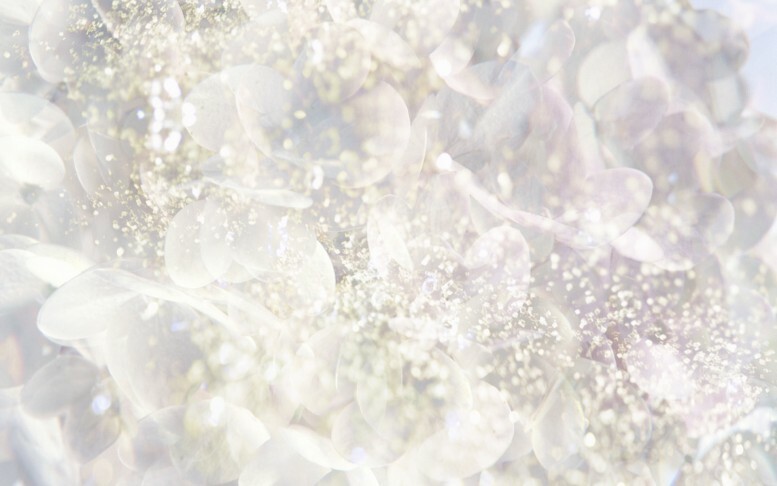 Nuit de Cellophane remained as a really intense blast of white lilies, white musk synthetics, and peony rose, infused with heavily fruited sweetness. 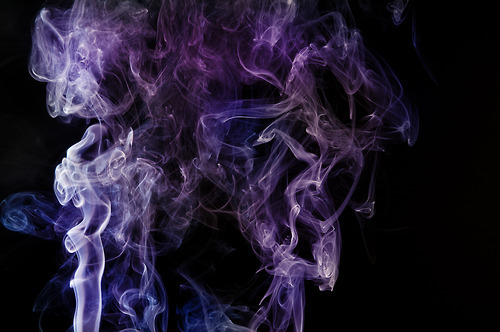 It wafted about 3 inches until the end of the first hour, when the perfume finally began to soften and the projection shrank. It takes 90 minutes, all in all, for Nuit de Cellophane to calm down enough for the osmanthus to come out from the shadows. Finally, I smell the note that this perfume is meant to celebrate, but it feels as though there were a hostage situation where the lily held the osmanthus for ransom for a while. 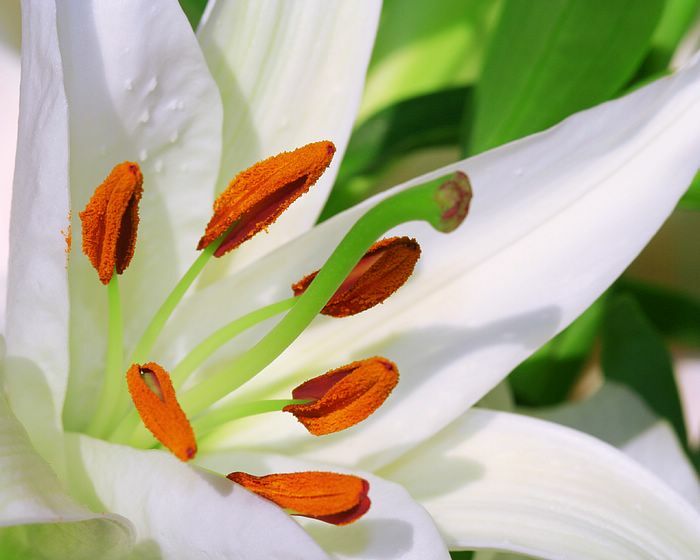 As the lily retreats to the sidelines, the thick wave of fruited sweetness sharply drops and is cut in half. The shampoo and floral hairspray impression lingers, but it too is much less aggressive. The whole thing is now a blur dominated primarily by osmanthus, then that peony-like note and an increasingly abstract fruitedness. There is a very hazy, blurry feel to the notes, but I think I can still detect small traces of the clove-y carnation and some peach. However, the overall effect from afar is of a very soft, fruity-floral with few distinguishing characteristics other than sweetness and cleanness. As time passes, Nuit de Cellophane devolves further. The osmanthus, the peony-rose, and the fruited elements become even more nebulous, and the perfume feels like a generic, department store floral. The problem really seems to be two-fold: shapeless and cleanness. The florals elements don’t stand out in any way except as a blur of some generalized “white flowers,” while the clean musk creates an artificial sterility. 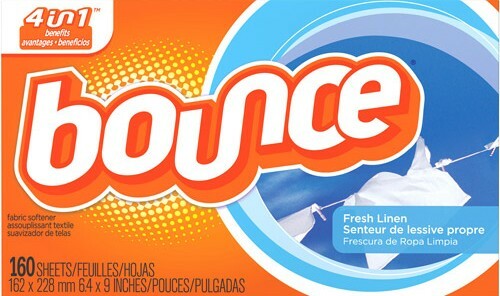 At the end of the 4th hour, my greatest impression of Nuit de Cellophane was of towels which retain the vaguely floral scent of fabric softener and dryer sheets. The softness has a certain fluffiness, which one might argue is a positive, but the scent as a whole has a complete facelessness which is most definitely a negative. When I smelled Nuit de Cellophane really hard up close, I could pick out a vaguely rose-like, white floral scent with some vestige of fruitiness, but it took serious effort. And it may have been wishful thinking. From the start of the 6th hour until its very end, Nuit de Cellophane was nothing more than a generic blur of floral cleanness. If you put it in a lineup next to any department store fragrance, even earlier on in its development, I honestly doubt I could pick out the Lutens. Regular readers know how I love the house and how much I admire Serge Lutens in particular, so none of this was easy to write, but I really disliked the fragrance that much. All in all, Nuit de Cellophane lasted just shy of 11.75 hours on my skin, and I was unhappy for all of it. The one thing I kept thinking of when assessing the perfume is how Nuit de Cellophane compares to some of the Lutens florals of the past few years. As many people have noted, 2009 seems to mark a time when Serge Lutens embarked on a course of exploring scents with a light, watery, silvery and/or metallic floral twist. There was his L’Eau Serge Lutens in 2009, Vitriol d’Oeillet in 2011, L’Eau Froide in 2011, La Fille de Berlin in 2013, La Vierge de Fer in 2013, and the upcoming Laine de Verre (i.e., Fiber Glass) next month in February 2014. It feels to me as if Serge Lutens began with L’Eau Serge Lutens, took a detour into a hyper-sweetened (but partially metallic, piercing) Nuit de Cellophane, then decided to keep stripping away at the baseline until he arrived at the recent, metallic, icy, shrieking hairspray lily of La Vierge de Fer. On my skin, Nuit de Cellophane begins like the earlier 2007 Un Lys, only much sweeter (if you can believe it) and without the narrow lily soliflore focus. It actually fits closer on the scale to La Vierge de Fer given the piercing white musk, yet it has the Serge Lutens’ signature of plummy fruits. 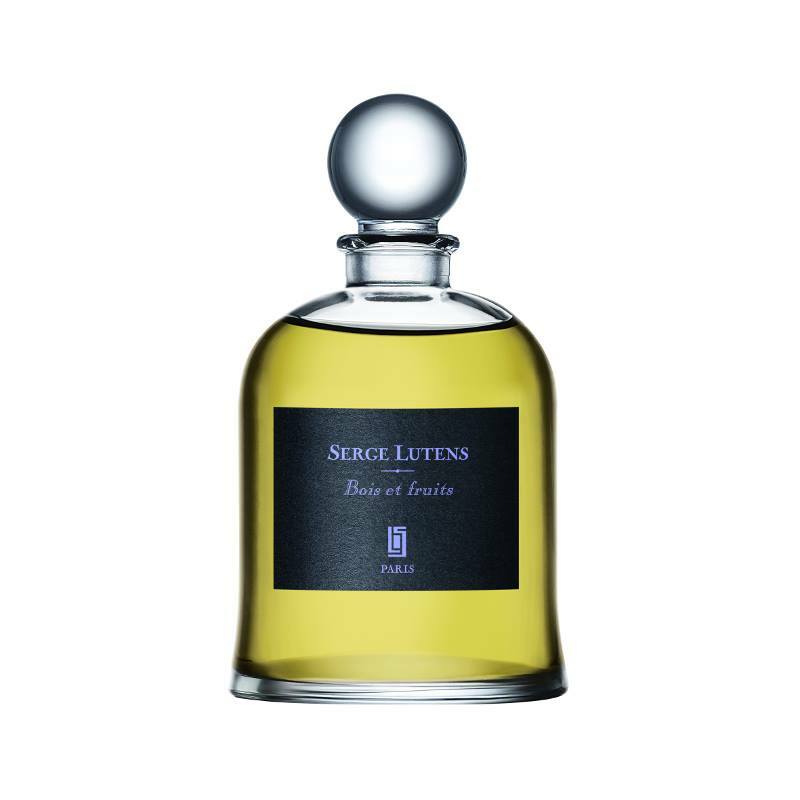 La Vierge de Fer feels like the apotheosis of Lutens’ metallic or icy floral trend that Vitriol d’Oeillet and La Fille de Berlin also reflect to some extent, and so, it fits into a definite pattern. Nuit de Cellophane doesn’t. It has some of the traditional Lutens signature with the plummy fruits, and also, some of the loud schizophrenia of the 2001 Datura Noir. Yet, it lacks the latter’s lushness, more balanced, interesting aspects, as well as the steelier, iciness of recent Lutens florals. Nuit de Cellophane is a bit of everything and nothing for me, as it lurches from one extreme to another. One minute, it holds you hostage with such strongly delineated, syrupy, piercing florals that they feel like assault rifles; the next, it is a faceless girl simpering in a department store in the cheap hairspray and shampoo aisle. Between the discordant notes and the extremes, the whole thing feels quite bipolar to me. As should be quite clear by now, I don’t understand the perfume. I’ve tried but I don’t, no matter how much I search for a pattern. I just don’t get it. The opening stage of Nuit de Cellophane is the aspect I dislike the most. 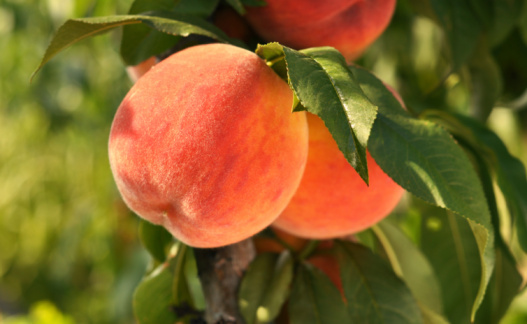 The sharp, fruity note that comes through evokes not the velvety softness of apricot skin but rather some drugstore peach shampoo. It is neither pleasant nor interesting, and while eventually it softens enough to reveal the osmanthus heart, the banality of the first impression stays with me. As the composition develops, the apricot-leather accord becomes stronger, with jasmine and rose highlighting its appealing sweetness. 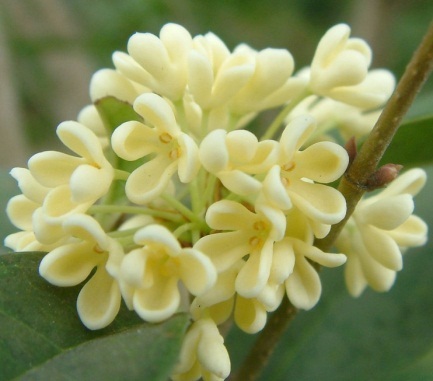 The animalic accents are subtle, never rising above the osmanthus, even in the late drydown. It is a pleasant fragrance at this stage, light and easy to wear. Considering that such compositions are easy enough to find (and often at a much lower price point, I should add) I cannot find any other quality that makes Nuit de Cellophane appealing to me. However unpleasant her experience, I still think mine was worse. In fact, parts of Nuit de Cellophane on her skin sound almost interesting. Animalic accents? Would that I have been so lucky! At least I’m not crazy in smelling roses in the Nuit de Cellophane. If you want a cheaper alternative to this overpriced scent, shampoo your hair with Pantene, blow dry it and then shake it back and forth. It smells exactly like freshly shampooed hair…. On me, this smells like Gee Your Hair Smells Terrific, the shampoo all the cool girls used back when I was in seventh grade. Two stars for nostalgia, but I wouldn’t wear it. Very boring. It smells like a generic department store scent, nice and wearable, but just not something from dramatic and tasteful Lutens. 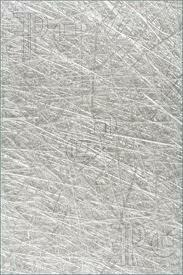 This is a very soapy jasmine reminiscent of dryer sheets. 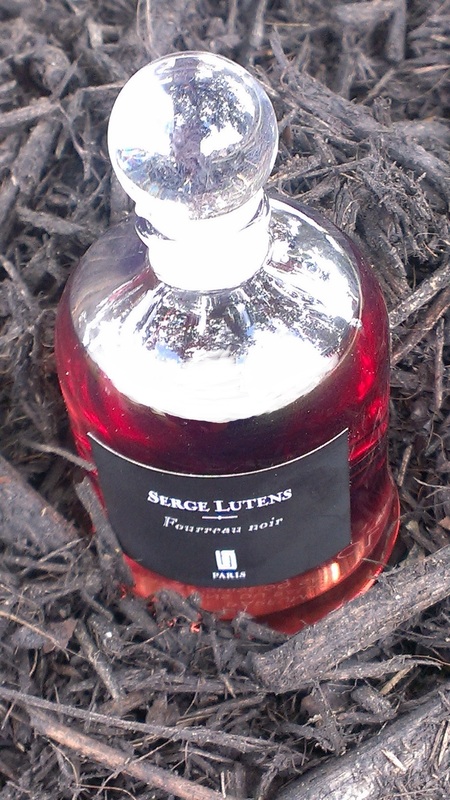 Piercing and relentlessly dull, it is a huge disappointment coming from Serge Lutens. A full, brash, sharp floral fragrance. This is almost identical to Michael Kors’ Very Hollywood. 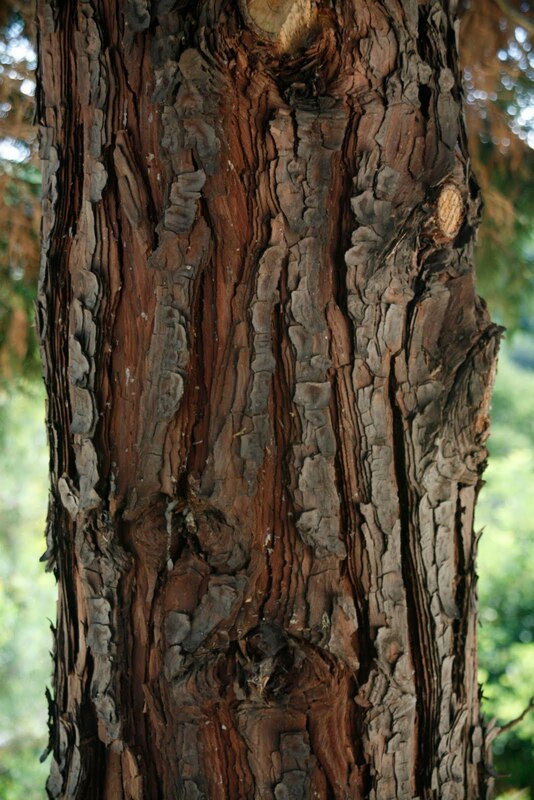 There are cheaper perfumes that smell similar to this. I’m really confused by this one… I definitely agree that is smells like “Very Hollywood,” but would venture to say that there is absolutely nothing noteworthy or exceptional about this flat, high-school smelling fragrance. If you like to smell like Victoria’s Secret or the generic department-store fragrance, look no further. This is truly an exercise in subtlety. Yet it does not smell like anything else. It is peppery carnation, fresh green, osmanthus, a breath of jasmine, a drop of sweet honey, with a bit of lily dust and soft musk to hold together. [¶] It is a quiet, delicate work of art, for the person who wants to keep her (or his) little secret, that they are wearing something special. Not for the person who wants to announce their presence before they have stepped into a room. I think that winter is not the best season; I think this is an ideal early March through end of April scent. I love this fragrance. It’s juicy fruits supported by heady white florals makes it truly swoon-worthy. The opening is brief and to die for, albeit a bit too short lived in my opinion. 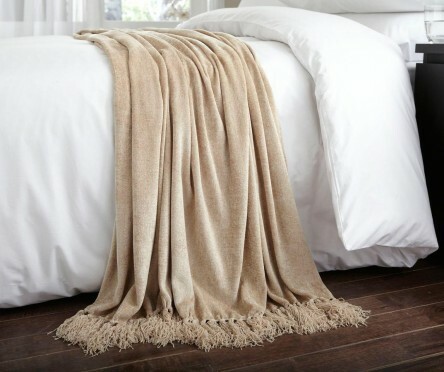 It dries down to a soft and clean soapy smell. Even though it doesn’t project as much as I would like, I still adore it. OMG, how could I live without this fantastically well done Osmantus scent??? I`m an Osmantus lover, but never I heard this note so pronounced, so clean, tender, innocent but not simple, simple but far from being primitive… it`s hard to describe, it`s a little sweet, a little acid, you keep sniffing it, trying desperately to disclosure the secret: what is this evasive beauty… It smells like a prepubertal girl must smell… Innocent and vicious in the same time. [¶] I love it. I suppose if you’re looking for a fresh, clean, sweet Lutens (or for a department store floral with the innocuousness of a shampoo-drenched gnat), then you may want to try Nuit de Cellophane. There are cheaper alternatives, though, even if you buy the Lutens fragrance at the massive discount offered by some US retailers. Frankly, I found the perfume’s bipolar nature to verge on the alarming, and its extreme shift from one end of the spectrum to the other initially gave me whiplash, before leaving me feeling quite exhausted. It was not an experience that I enjoyed. General Cost & Sale Prices: Nuit de Cellophane is an eau de parfum that comes in a 1.7 oz/50 ml size, and costs $130, €85, or £69. However, you can find it highly discounted at a number of U.S. retailers. On Amazon, Nuit de Cellophane costs $64.99; at FragranceNet (which ships worldwide), it is $68.16 with a coupon; and at Beauty Encounter, it costs $69.95 with the coupon code they provide as well. Serge Lutens: you can find Nuit de Cellophane at regular, full price on the U.S. and the International Lutens website, with other language options also available. U.S. sellers: Nuit de Cellophane is available for $130 at Luckyscent, Barney’s Aedes, and a number of other stores. Outside the U.S.: In the UK, you can find Nuit de Cellophane on Amazon UK for £59.35. At the regular £69 price, you can find it at Harrod’s, Liberty London, and SpaceNK Apothecary. In France, you can buy Nuit de Cellophane from Sephora for €84, though it’s cheaper at Premiere Avenue which sells it for €79. In Germany, you can find Nuit de Cellophane at Essenza Nobile. 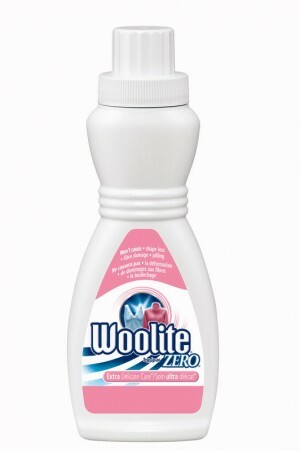 In Australia, you can find it at FragranceNet Australia for AUD$78.34 with the coupon. For other countries, you can use the Store Locator on the Lutens website. Samples: You can test out Nuit de Cellophane by ordering a sample from Surrender to Chance where prices start at $3.99 for a 1/2 ml vial. There is also a Four Lutens Sample Set for $18.99 where the vials are larger at 1 ml each, and you get your choice of 4 Lutens Export fragrances (ie, not those that are Paris exclusives). It’s hard to live up to a powerful name. 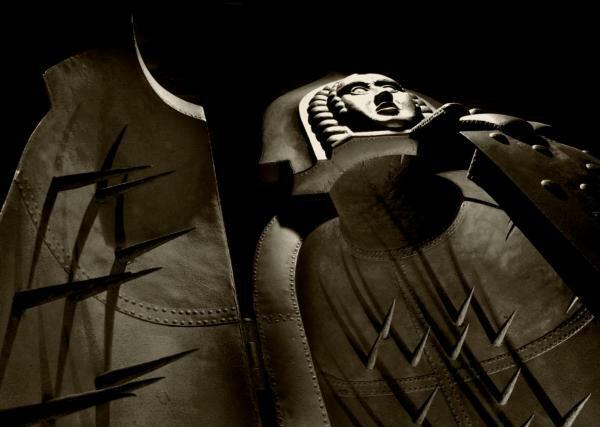 Even harder when that name is something that seems to reference both Joan of Arc, and perhaps the most notorious of all medieval torture devices, the Iron Maiden. So, I put all titular and symbolic considerations aside when I tested the latest fragrance from Serge Lutens, La Vierge de Fer, and looked at it in a vacuum. 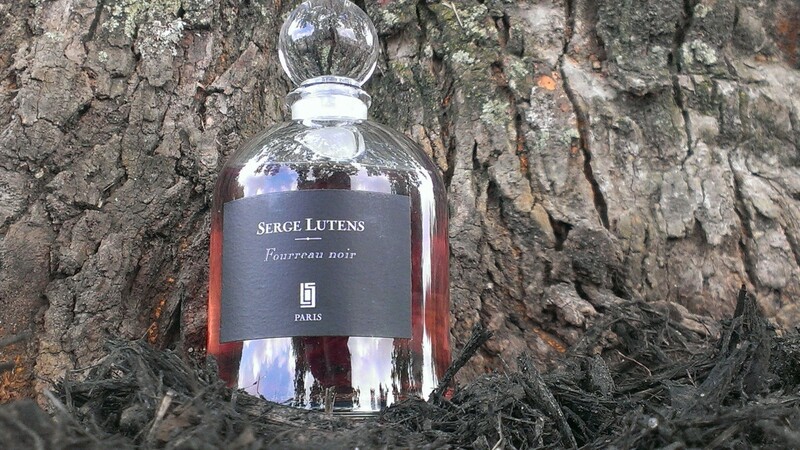 With deep regret and sadness, I have to say that I think it is the worst perfume that I’ve ever tried from Serge Lutens, and more suited to a cheap department store. La Vierge de Fer is a floral eau de parfum whose name translates to “The Iron Maiden” (or virgin). 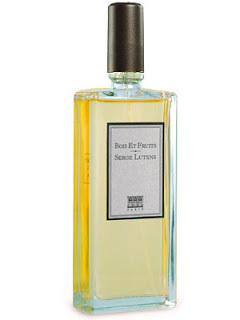 It was created by Christopher Sheldrake, and released in September of this year as one of the famous, pricey, bell jar “Paris Exclusives.” The perfume is not sold world-wide, but is limited to Serge Lutens’ Paris headquarters, the Lutens websites, or to the Lutens section of Barney’s New York. The name you picked, La vierge de fer (The Iron Maiden), is pretty intense. There’s a reference to torture. Is there perhaps a connection to Joan of Arc, too? SL: All maidens have a connection between them. Joan of Arc kicking the English out of France is one of the loves of my life. Whether she’s wearing armor or crowning the King of France, she’s a reference, absolutely, but not here. The Iron Maiden is more of an attitude. My own attitude towards what creates beauty. 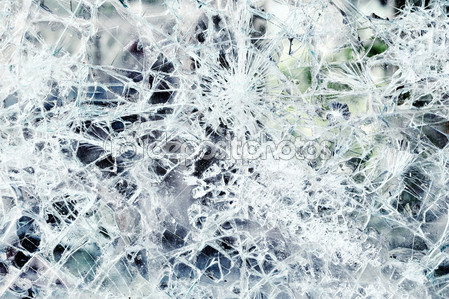 You can’t conceive of anything without a certain fragility, a scar at the bottom of it all. Opening that scar to make it universal is the basic principle of Art. An iron maiden used to be an instrument of torture. And if the term ‘to create’ means anything, it means that whoever does it is tortured and sacrificed on the alter of something. La Vierge de Fer bell jar. The religion of iron needed a Virgin, and the Virgin, a lily. “And deep down, as itchy as a hair shirt on the skin. In fact, a sublime torture!”. Lily, jasmine, amber, vanilla and sandalwood. 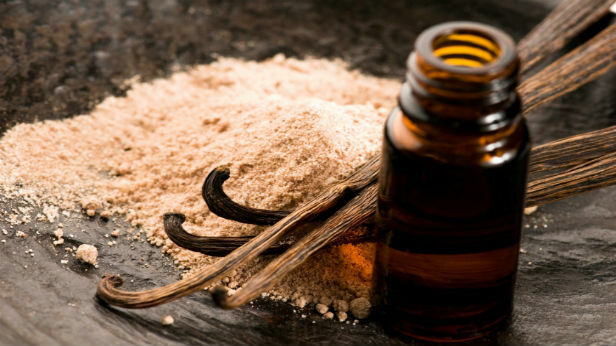 Lily, aldehydes, muguet (or lily of the valley), jasmine, generic amber, white musk, vanilla. La Vierge de Fer opens on my skin with notes that are, indeed, as itchy as a hair shirt, though the torture is far from “sublime,” in my opinion. 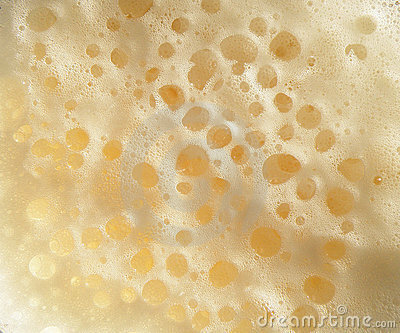 There is a heavy layer of soapy aldehydes that have a lemony undertone. 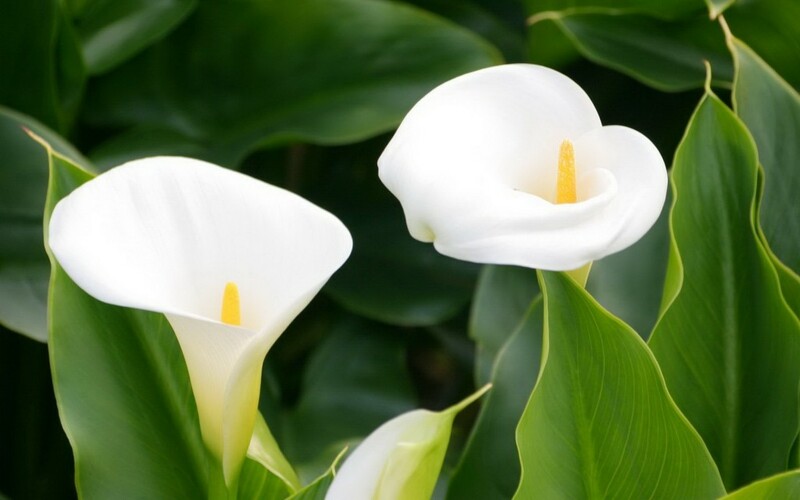 They are followed by lilies that don’t smell like indolic Stargarzers so much as the fresher Calla lily shown in the photo. 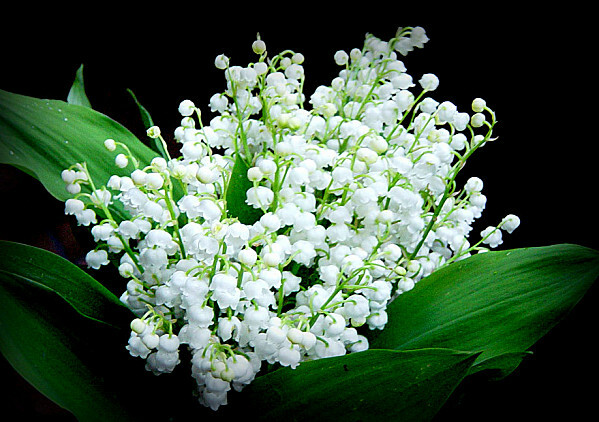 I also detect a subtle, green whiff of dainty, dewy lily-of-the-valley which I’ll just call by its French name, muguet, in order to avoid any confusion. The whole thing smells as fresh as Dior’s legendary Diorissimo, which would be fine and dandy were it not for the white synthetics. The green-white floral bouquet is infused with a sharp white musk that sends a piercing pain through my eye every time I smell La Vierge de Fer up close. It starts off resembling expensive hair spray, which is bad enough without its fast transition into the most potent of laundryesque dryer sheets. 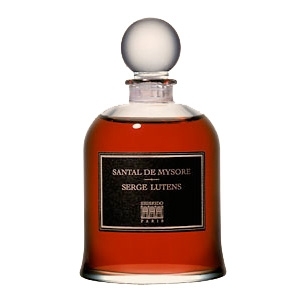 It is astoundingly bad, astoundingly cheap, and just plain astounding — period — from a house like Serge Lutens. One reason why I like his perfumes is because they generally (with some exceptions) eschew very heavy amounts of synthetics, and, even then, it’s rarely the cheapest form around: common white musk. I don’t go to Serge Lutens for a fragrance that smells like any white florals found in Sephora or Macy’s. I don’t pay his prices for what a celebrity might put out for $30, and I most certainly do not expect such a scent in one of the uber-expensive bell jars whose price has just gone up in the U.S. to $310. The depths of my disappointment and disbelief knows no bounds. As I struggle to stop wincing at the shooting pains in my head from the Bounce fabric softener sheets, I notice the odd contrasts emerging in La Vierge de Fer. 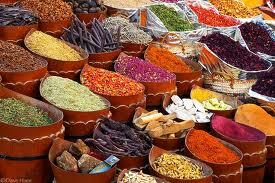 The fragrance runs hot and cold, metallic and gourmand, in a mix that is both discordant and perplexing. 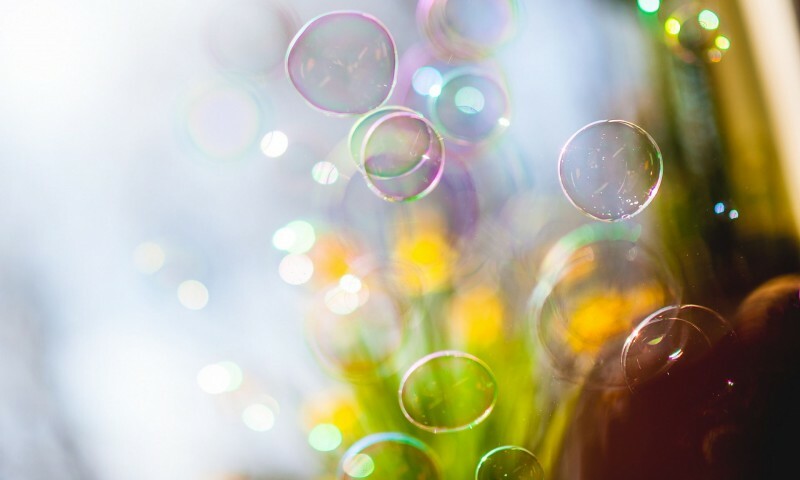 The top notes are soapy aldehydes, piercing white musk, and fresh, green-white lilies, but there is a metallic clang surrounding them that goes beyond mere coldness. It’s as though there were a vein of chilled silver running through the notes, no doubt due to the bloody white musk and the aldehydes. The latter quickly lose their lemony overtones, and turn into pure soap with a tinge of waxiness. Appearing underneath the cool, white bouquet are sudden flashes of something warm, dusty, and sweet. At times, it feels like richly custardy, sweet vanilla. Other times, it’s like dusty, dark, vanilla extrait in unrefined, unprocessed powder. The rich sweetness in the base acts like a wave hitting the green-white floral shores before pulling back, then returning once more. It’s almost like a sort of relay race between the sweet gourmand notes and the alternating cool, metallic, clangy element, the soapy aldehydes, and that piercingly sharp, laundryesque, white musk. It’s rather brilliant on an intellectual, theoretical level, but somewhat disorienting and perplexing on a purely olfactory one. I’m not happy. I have not been happy on any of the occasions when I’ve tested La Vierge de Fer. Lily is perhaps my favorite floral note, and white floral bombs are the one kind of floral scent that I gravitate towards, but I can’t decide which part of La Vierge de Fer I find more off-putting. So, it’s probably a small mercy then that the perfume has such incredibly weak projection. Within minutes, it feels as though it were evaporating off my skin. Well, everything except that revolting white musk. In less than 10 minutes, in fact, La Vierge de Fer is a complete skin scent on me, which is pretty astonishing. I have problems with longevity, not sillage, but 10 minutes? For an eau de parfum?! La Vierge de Fer also suffers from the cardinal sin of being utterly boring. I have nothing against soliflores — perfumes celebrating and revolving around one main note — if they are interesting or well-done. For me, however, La Vierge de Fer is tedious and banal. Exactly 20 minutes into its development, the perfume loses that odd metallic clang and coldness, and the relay race with the vanilla ends. I wasn’t keen on it, but at least it was interesting, and I could see how the metal might be a symbolic representation of either Joan of Arc’s armour, or the steel spokes of the Iron Maiden as it pierced flesh warm from vanilla and white from lilies. Once that extremely clever bit of elegiac sophistication vanishes, you are left with nothing more than lilies infused with soapy aldehydes and horrific commercial musk. Even the more green muguet note vanishes, if it was even there at all. It’s hard to tell under all the synthetics, especially given how wispy the fragrance is on my skin. It takes about 75-minutes for La Vierge de Fer to change, though it’s minor at best. At first, there is a subtle, nebulous change in the perfume’s temperature and feel, as though there were a growing warmth in the base. It’s not vanilla, and it’s most definitely nothing that is actually ambered, but La Vierge de Fer seems less crisp and fresh. The jasmine starts to come out, slowly vying with the lily for dominance, and turning the fragrance sweeter. Eventually, by the end of the 2nd hour, La Vierge de Fer begins to shed some of its laundryesque sharpness like an unpleasant snake’s skin, though the jasmine can’t erase all of it. 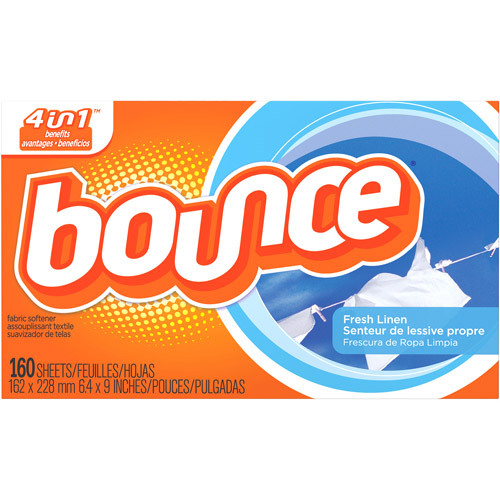 The perfume is now jasmine and lily on an abstract, sweet, warm base that is infused with Bounce dryer sheets. By the end of the 3rd hour, La Vierge de Fer is nothing more than a blur of whiteness (and synthetics) that feels as though it’s about to die entirely. 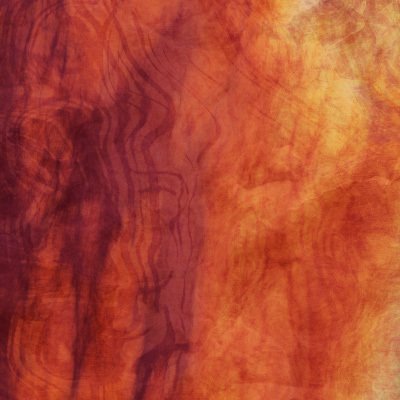 To my surprise, La Vierge de Fer hangs on tenaciously, chugging away in the most translucent smear on my skin. It still gives me an immediate pain in my head every time I smell it up close, but the perfume is definitely there if you put your nose right on your arm and inhale forcefully. 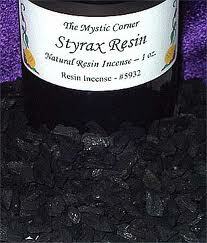 What is surprising is an odd, unexpected fruitiness that suddenly pops up alongside the clean, white musk in the base. To the extent that I can make out anything from La Vierge de Fer’s thinness, it almost smells like dark grapes. 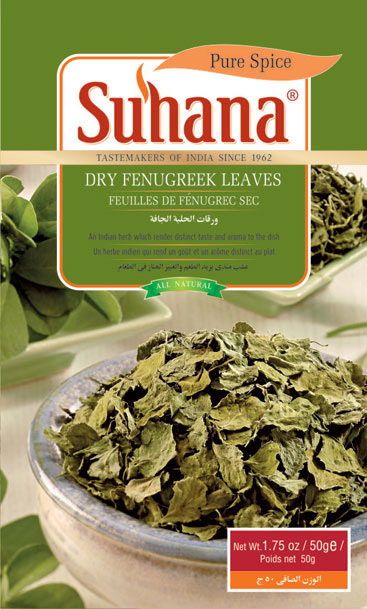 It has to be the indoles so prevalent in white flowers like jasmine; indoles can be broken down to something called methyl anthranilate, a natural compound which has a fruity aroma, often like that of Concord grapes (among other things). Whatever the reason for the sudden fruitiness, it is a fleeting thing that shows up on in the tiniest of ways and towards the end on my skin around the middle of the 5th hour. The perfume dies shortly thereafter, giving its last gasp just a little over 7 hours from the time I first applied it. In its final moments, it was nothing more than cheap, synthetic white “cleanness.” The 7 hours comes from an average quantity of about 3 smears, or about 2 sprays. At a smaller dosage amounting to one good-sized spray, La Vierge de Fer lasted only 5.75 hours on my skin. Were it not for piercing musk, which my skin clings onto like glue, I suspect the whole thing would have died after three hours, no matter how much I applied. Jasmine and lily fireworks notwithstanding, La Vierge de Fer was not love at first inhale for me. I found it too simple and not challenging enough. But as I continued to dip into my sample, I found it more and more compelling. It’s simultaneously comforting and sophisticated, which makes it versatile enough to wear for just about any occasion. You simply have to love being showered with white flowers. Well, I do happen to “love being showered with white flowers,” but I personally wouldn’t wear La Vierge de Fer if it were given to me for free. And no amount of time or testing is going to change my feelings. In my opinion, La Vierge de Fer could go right next to the sort of clean, fresh, white, Spring-like floral scents found in Dillard’s, TJ Maxx, or Sephora. There’s nothing wrong with that if that is your taste, but I doubt anyone would want to pay $310 for it. One spends that sort of money on a Serge Lutens bell jar to get a wholly unusual, creative, innovative scent with a twist — a scent that has a complex, morphing character that is different from everything else out there, and that doesn’t come with a massive wallop of cheap synthetics. I realise that Serge Lutens has veered as of late towards lighter, thinner, simpler fragrances, and away from the complex (often Oriental) perfumes with which he began his line in the early 1990s, but I think La Vierge de Fer suffers from more than mere simplicity. I find it tedious and absolutely terrible. In almost every case with Serge Lutens — even when a particular fragrance doesn’t suit my personal tastes — I can admire the artistry, think it is well-done, and respect it. That is not the case here. 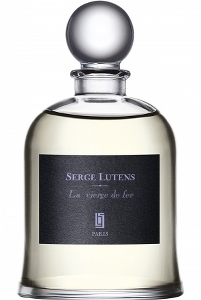 I don’t think La Vierge de Fer even deserves to carry the Serge Lutens name. 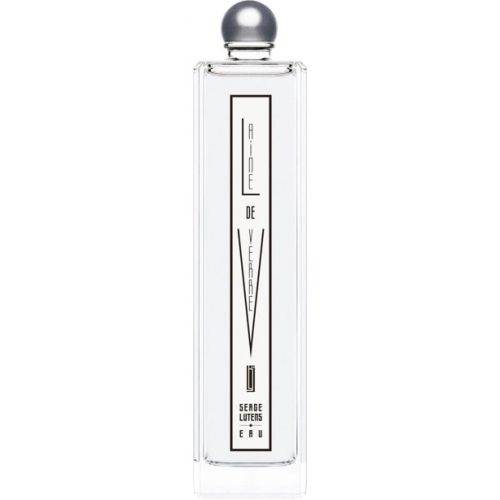 Cost & Availability: La Vierge de Fer is an eau de parfum that is part of the Serge Lutens “Paris Exclusives” line, which means it is available only in the larger 2.5 oz/75 ml Bell Jar size. It retails for $310 or €140 for a 75 ml/2.5 oz bottle. You can buy it directly from the U.S. Serge Lutens website or from the International one. In the U.S.: La Vierge de Fer should be available exclusively at Barney’s New York store, but for some reason, the fragrance is not on the website at the time of this review. Normally, you can call the store to purchase their Lutens bell jars. The number is (212) 833-2425. 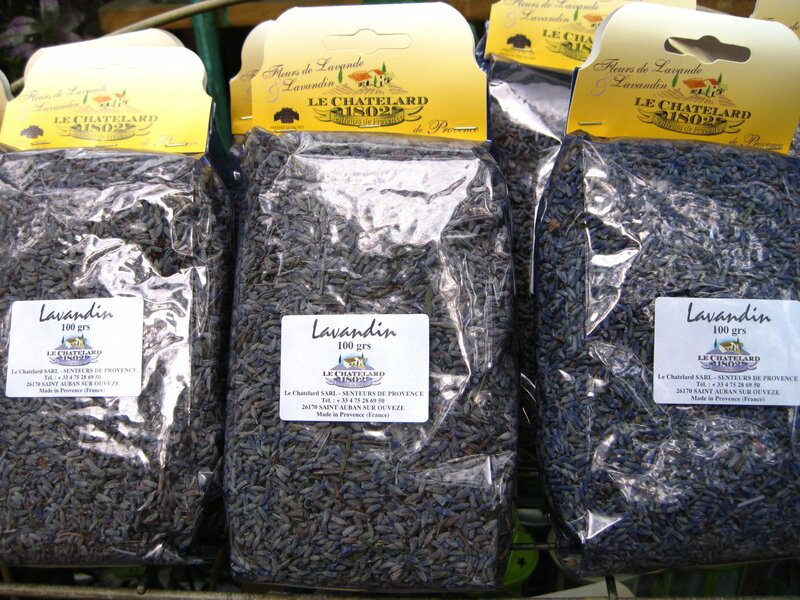 Samples: You can order samples of La Vierge de Fer from Surrender to Chance starting at $3.99 for a 1/2 ml vial. The fragrance is also available as part of a Five Piece Non-Export Sampler Set, where you can choose 5 Lutens Paris Exclusives for a starting price of $18.99 for a 1/2 ml vial. 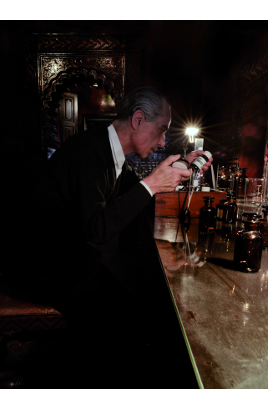 I was recently granted the enormous honour and privilege of interviewing Serge Lutens. He was not in Paris during what had originally been intended to be a short stay on my part, so he kindly offered me a written interview. I cannot express my gratitude enough; even for someone as verbose as myself, there are truly no words to adequately express my appreciation, and how excited I was to receive the news. 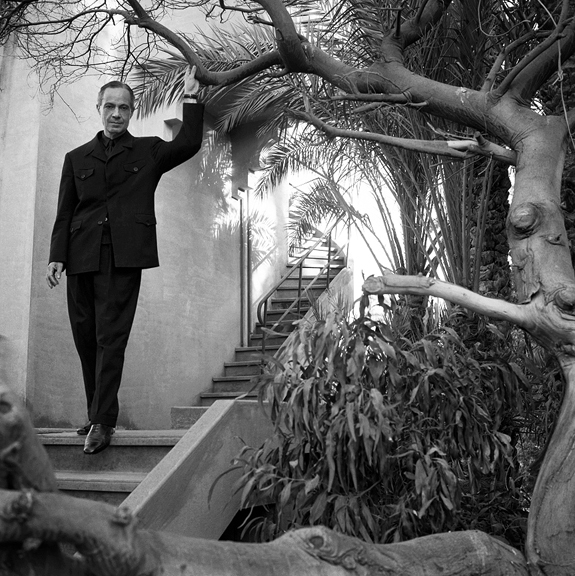 Serge Lutens at his Marrakesh villa. Photo, courtesy of Serge Lutens and Shiseido, France. My admiration for “Serge Lutens” has always been primarily for the man himself, even more than for his fragrances, despite their beauty, creativity, and originality. I’m utterly fascinated by the way he thinks, by his intellectuality, and by his elusive, enigmatic, Sphinx-like nature. 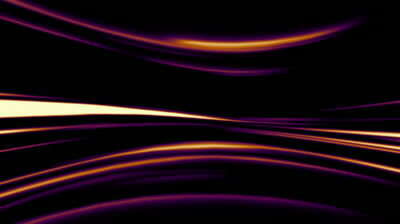 The more I probe, quite often the less I understand, and the more intrigued I become. 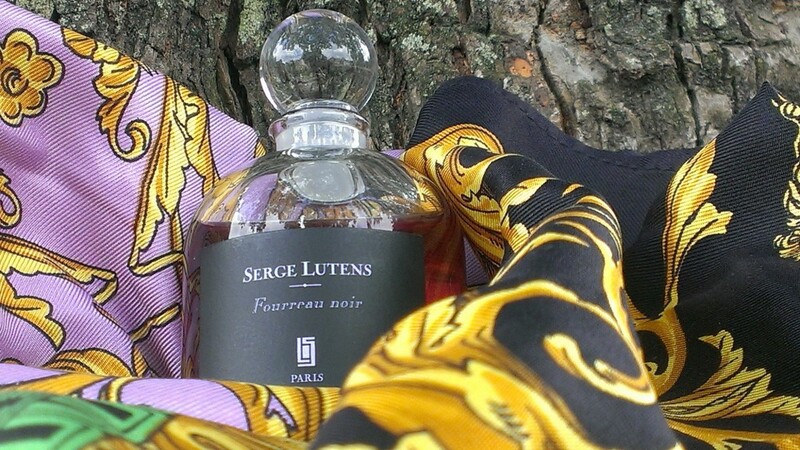 At this point, I think it’s quite safe to say that I have a full-blown obsession with trying to figure out Serge Lutens, and a complete acceptance of the fact that I never will. Genius is simply not subject to normal analysis or understanding. And, for me, Serge Lutens is the last of the 20th-century artistic greats, a combination of Picasso, Camus, Yves St. Laurent, Herb Ritts, and Richard Avedon — all in one very sylph-like, elegantly stylish, black and white, enigmatic package. As a result, I intentionally asked questions that were designed to be more personal or theoretical in nature, and to focus on the mysterious man behind the legend. I also did not want to bore Monsieur Lutens by repeating the same sorts of queries that he gets so often, like what perfume he wears. 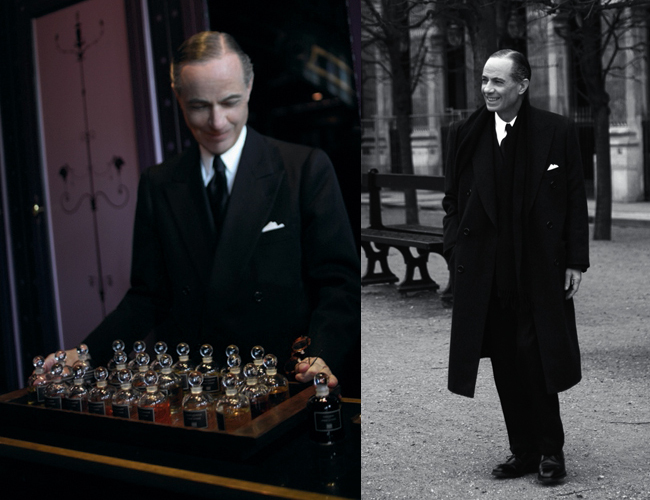 Besides, I have already covered extensively both his background and childhood, his rise to success, his time at Vogue and Dior, and his perfumes in a very detailed, two-part profile. (Serge Lutens Part I, and Part II). In short, I was selfish and asked what I personally wanted to know, regardless of whether it pertained to perfume. In most cases, it did not. Consequently, I enlisted the help of two friends to provide a translation that faithfully captured the underlying tonalities, right down to the smallest metaphor and nuance. In a few, rare instances, I lightly reworded their interpretations or combined their two separate versions into one. Below, you will find my questions, Serge Lutens’ original French response (in italics), and then, the translated version (in red). 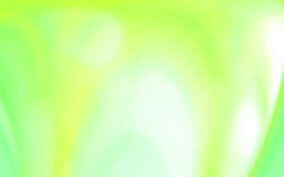 Linguistic or contextual notes are in green. I hope you find his answers as interesting as I did. 1. Out of all the great painters, are there any whom you might consider your artistic twin in terms of their aesthetics, poetic self-expression, or overall sensibilities? If so, why? Si vous voyez quelqu’un traverser un musée à toute vitesse, ayant l’air de chercher un ami dans un hall de gare, ou de chercher la sortie, cela doit être moi ! Mon œil est à ce moment-là aux aguets et aguerri. Il se ressent en danger et par lui, s’en trouve aiguisé (L’Art lui-même est un danger sinon, pourquoi ?). Parmi la foule agglutinée au milieu des chefs d’œuvre, je jette un œil, comme on le dit, mais parfois, je freine ma cadence et me dirige vers un tableau comme aimanté. A lui seul, il a l’air de justifier ma venue en ce lieu. Je ne sais pas pourquoi ; cela peut être n’importe quoi. C’est inexplicable mais cette toile me touche. Elle peut être signée ou pas (dans ce cas, c’est encore plus magique car plus mystérieux). A partir de ce moment-là, le tableau est en tête. Je garde éventuellement en mémoire la période et la signature (s’il y en a une) et je sais qu’un jour ou l’autre, par un texte, une photographie, un parfum…ce tableau se fera connaître. Les grands peintres ne me sont pas moins indifférents que des inconnus. Aimer quelqu’un de connu peut vouloir dire qu’on essaie de se situer par rapport à un goût. Cela me gêne. Cependant, à la National Gallery de Londres, il y a deux femmes très vieilles. Traits et yeux semblent pris dans les rides, comme une mouche dans une toile d’araignée. La position de leurs visages est fixe et prise dans l’immense collerette de coton blanc amidonné. De cela, on retient la robe noire, la couleur blanche de ces godets multipliés autour des épaules et qui, comme un plateau pour une tête coupée, mettraient le doigt sur l’âge et sa beauté juste avant qu’ils ne meurent. 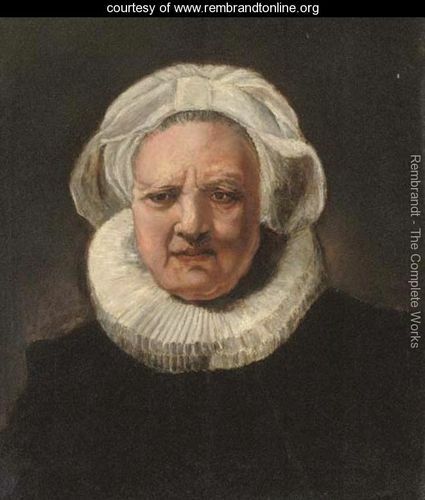 Ce sont des Rembrandt ! If you should ever see someone hurriedly crossing a museum, looking as if he is searching for a friend in a train station, or looking for the exit, that someone must be me! At that instant, my eye is wise and watchful, it feels the danger and is thus sharper (Art itself is dangerous, otherwise what is the point?). In the middle of the crowd huddled amongst the masterpieces, I cast a glance, as one says. But sometimes I slow my step and am drawn to a painting as if it were magnetised. This work alone seems to justify my being here. I do not know why, it could be anything, but the work touches me. It can be signed or not (in the latter case, it is even more magical because the experience retains its mystery). From that moment, the painting will remain with me. I may keep the period and the signature (if there is one) in mind and I know that at some point, through a text, a photograph, a smell that the piece will manifest itself. Great painters are no less important than the lesser ones. Liking someone famous may mean that one tries to position oneself in relation to a given taste. This bothers me. 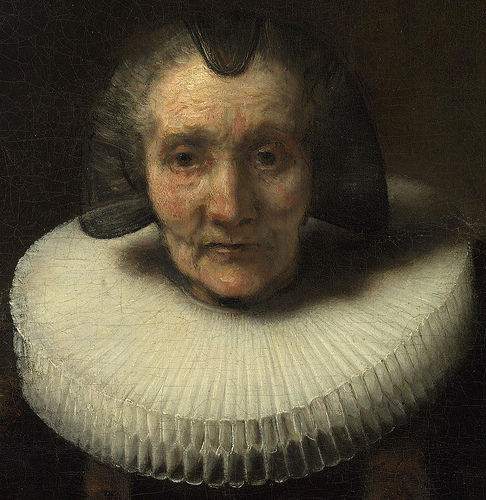 However, there are two very old women at the National Gallery in London. Their features and their eyes seem trapped by their wrinkles, as a fly in a spider’s web. The position of their faces is fixed and caught in the immense ruff of rigid white cotton. From this image, one retains the black dress, the whiteness of the multitude of ruffles ringing the shoulders which, like a platter holding a severed head, would accentuate age and its beauty just before they both succumb. They are Rembrandts! 2. What pieces of music or particular songs move you emotionally and intellectually, or have such an impact on you that you turn to them in moments of great joy or sorrow? La musique a ceci d’étonnant : elle vous enveloppe et si elle vous touche, elle vous comprend, elle vous gagne comme le ferait une ankylose des pieds jusque la tête. En un mot, elle vous saisit. Parfois, afin de découvrir en elle ce qui m’intrigue, je l’écoute et la réécoute. Il se peut, si je suis heureux, qu’elle me fasse danser seul, ou plus tard dans la journée, qu’elle me rejoigne et que sans elle, malgré tout, je la chante. Les joies et les solitudes qu’elle peut engendrer sont autant souhaitées l’une et l’autre mais, à dire vrai, la musique était surtout le lien indispensable qui, dans le temps de mes images, constituait l’atmosphère amniotique entre le modèle et moi-même. Elle était moi et je me voyais en elle. Se voir dans un autre sexe que le sien n’est pas évident mais, pour moi, cela a toujours était naturel. Music is astonishing: she envelops you and, if she touches you, she understands you and she conquers your being, like pins and needles running the entire length of your body. In a word, music grasps you. Sometimes, in order to find out why she intrigues me, I will listen to her again and again. On occasion, if I am happy, I may start to dance alone; or, later in the day, she might find me again and, though she is not with me, I may begin to sing. While the joy and the solitude she brings are equally pleasing, in the period of my photography, music was the amniotic atmosphere that connected me to my model. Music became me, and I saw myself in her. To see oneself in another gender than one’s own is not easy, but for me it was always natural. 3. What was one of the most meaningful things that someone has done for you? I’m not talking about gifts of great value, but an action that touched you deeply, even if it may have been a small thing? Elle n’est pas une petite chose vu qu’elle est ma naissance et, par ce fait, ma mort. Je ne développerai pas ici ce thème. Cela est trop personnel mais, je suis né en 1942 à Lille, dans le Nord de la France. Je suis un enfant naturel, reconnu par une seule personne. Celle qui m’a mis au jour. It is not a small thing as I am speaking of my own birth and, consequently, of my death. I will not elaborate on this, it is much too personal. However, I was born in 1942, in Lille, in Northern France. I am a natural child, recognized by only one person. She, who brought me into the world. 4. Were there any classic fragrances that you loved or wore before you started creating perfumes of your own? Avant de les générer moi-même, je ne m’intéressais pas du tout au monde du parfum. Cela ne me touchait pas, aux deux sens du mot. Les senteurs sont depuis un moyen de dire ce qui m’est cher. Que je sois en colère, en retrait du monde ou autre, l’instant où je les réalise est notre moment. Cet instant dépassé, cela cesse de m’intéresser. Certains s’y reconnaissent, d’autres pas ; cela n’a aucune importance. Le parfum se doit d’accuser ce tout que vous êtes, composé du mal et du bien que vous seul connaissez. Before creating them myself, I had absolutely no interest in the world of perfume. Perfume did not touch me, in both senses of the word. 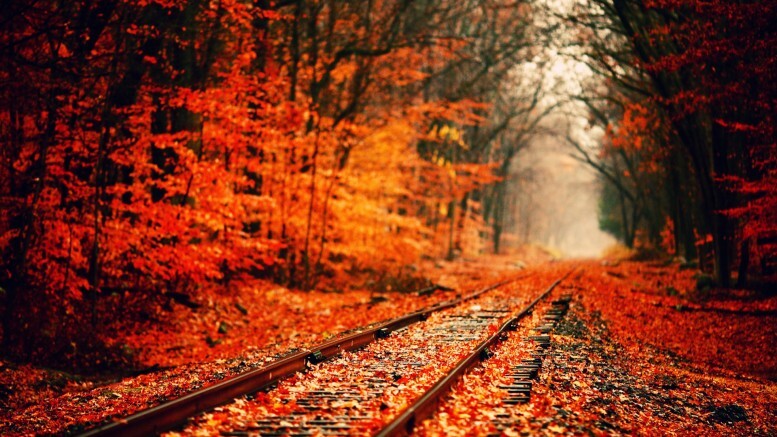 Since then, scents have become a way for me express what is dear to me. Whether I am angry, isolated from the world or what not, the moment I create a scent is our moment. When that instant has passed, I am no longer interested. Some may recognize themselves [in a scent] and others not, it is of no relevance. Perfume must bear witness to all that you are, the good as well as the bad that only you know. 5. What historical eras and places interest you so much that you wish you could go back in time to explore them for yourself, and why? Ce que l’Histoire de France a eu comme effet sur moi, c’est le rêve, mais retourner dans le temps n’aurait pas de réalité. Ce qu’on garde d’une époque est souvent capté par le regard d’un peintre, d’un écrivain… et de ce fait, contient une part plus ou moins grande de suggestivité. L’Histoire sert une idée, une cause, une patrie. Ses visions nationalistes me sont étrangères. Pour répondre à votre question, je n’ai pas cette curiosité. Je ne serai pas mieux dans une autre époque que celle où je vis actuellement, même s’il est certain que la création née toujours chez moi, d’une situation qui me déstabilise. The impact of the History of France on me was to make me dream, but to return to the past is not realistic. What one keeps of an era is often captured by a painter, a writer… and can thus be more or less suggestive. History serves an idea, a cause, a country. Its nationalist visions are foreign to me. To answer your question, I do not have that curiosity. I would not feel better in another era than my own, even though it is undeniable that creation only comes to me when I am feeling destabilized. 6. You seem to draw inspiration from literature as much as from history. Who are some of your favorite writers? Is there a particular book or poem that you could read again and again without getting tired of it? Si la poésie s’écoute parler, je ne l’aime pas. Si un auteur s’enfonce dans l’anecdote, il m’ennuie. C’est ce qui le met à vif, qui est insupportable aux autres et qui lui, le fait vivre, qui m’attache. Je retrouve ceci chez Baudelaire comme chez Jean Genet. Ces deux personnalités veulent à la fois être aimées et pour ce faire, nous montre à quel point, elles peuvent être détestés. Le condamné à mort est une œuvre magnifique, même si Baudelaire est le plus grand orfèvre des mots qu’il cisèle comme des bijoux fins mais avec toute la violence du forgeron. La littérature n’est pas un choix. En général, tous ceux qui ne l’ont pas lu, retiennent d’un auteur ce qui est dit partout. De Proust, on ne garde de sa Recherche du temps perdu, que l’histoire de cette madeleine mais c’est ignorer que Marcel Proust est la plus grosse madeleine du monde ! When poetry likes the sound of its own voice, I find it unattractive. If an author sinks into anecdote, he bores me. What connects me to a writer is what makes him bleed, what is unbearable to others but allows him to live. I can find this rawness in Baudelaire and Jean Genet. These two individuals show us how profoundly they long to be loved and in order to achieve this, show us how much they can be hated. Genet’s “Le Condamné à Mort” is a magnificent piece, while Baudelaire may be the greatest goldsmith in the way he chisels his words like a fine jeweller, yet with all the violence of a blacksmith. Literature is not a choice. Generally, those who have not read a given author simply retain what has been said about him. Of Proust’s “A la Recherche du Temps Perdu” [In Search of Lost Time] many only remember the story of his “madeleine”, but that is ignoring that Marcel Proust is the biggest “madeleine” in the world! 7. Is there a person in history or character in literature with whom you particularly identify? If so, why? S’il m’est arrivé parfois de m’identifier à des personnages, c’est plus pour certaines parties. Un peu comme un homme miroir qui rechercherait des similitudes. J’ai ce talent qui est aussi un défaut mais il est certain que l’autre se voit également en moi. Remplacer et trahir c’est ce que, profondément, je fais et je suis. C’est le double en un seul. If I have sometimes likened myself to characters in books, it has only been in morsels. A little like a mirror man searching for similarities. I have this talent, which is also a flaw, but yet it is undeniable that the other also sees himself in me. To replace and to betray is, fundamentally, what I do and it is what I am. It is the duality within the one. 8. 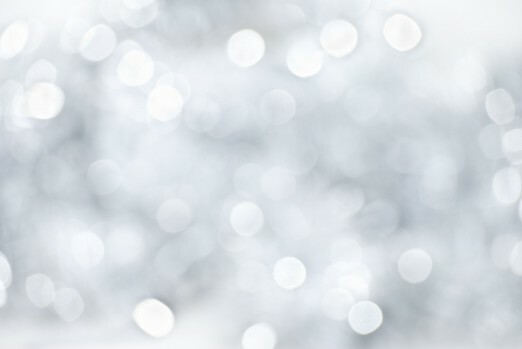 How has the perfume industry changed from the time when you first started in the 1980s? I’m not talking about IFRA or the EU, but in terms of your experiences as a perfumer and any pressures created by the business in terms of yearly output, the type of perfume genres, or the nature of the industry as a whole? 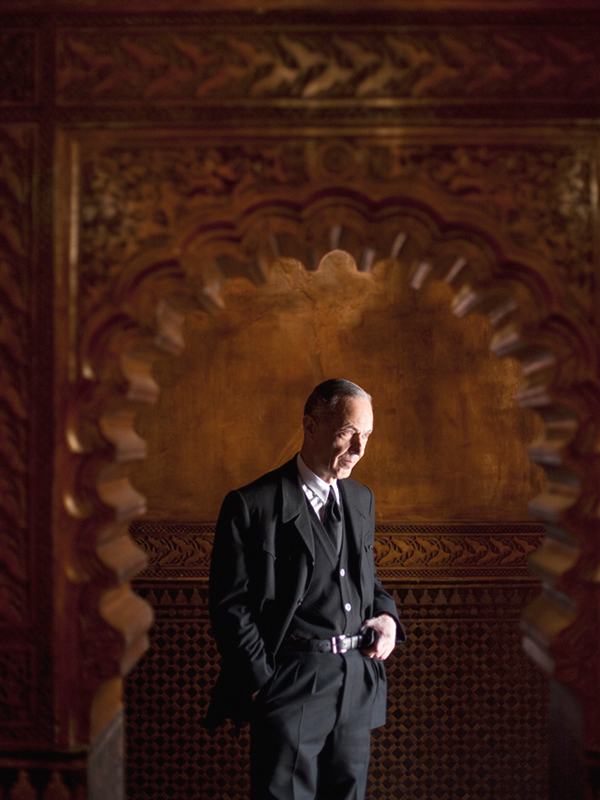 Serge Lutens in his perfume studio at his Moroccan villa. Photo, courtesy of Serge Lutens and Shiseido, France. S’il n’y avait que la finalité produit d’un parfum, cela ne m’intéresserait pas. Quand il n’est pas un véhicule de ce qui me tient à cœur, à corps et à cris, le parfum n’a pas plus d’intérêt que l’assaisonnement d’une salade (surtout que je ne mange pas !). L’industrie opportuniste de la parfumerie a fait du parfum un produit d’identification dont l’objectif est que chacun puisse se retrouver via des scénarios stéréotypés : l’idylle amoureuse (très vendeuse), la réussite professionnelle et ce qui en découle, l’argent, le luxe…Tout cela n’a rien à voir avec l’identité et ce qui devrait toucher nos fibres les plus sensibles. Niche ou pas niche ! Ce que je fais depuis maintenant plus de 20 ans tient d’une démarche autant littéraire qu’olfactive, mettant en scène des zones et des terrains vagues en moi-même ignorés. Pour le reste, je ne sais pas si le monde de la parfumerie a changé. Il faut vendre plus, en faisant passer la banalité pour de la rareté et de l’ordinaire pour du luxe. Un immense trucage qui n’a rien à voir avec nous. En tous cas, pas avec moi ! If the perfume as product were the end goal, it would be of no interest to me. When perfume is not a vehicle for the things that I hold dear to my heart, to my heart and soul, then it might as well be a salad dressing (especially since I do not even eat any!). The opportunistic fragrance industry has turned perfume into a lifestyle product where the objective is for everyone to identify with stereotyped scenarios: the romantic idyll (a great seller), professional success and everything that stems from it, money, luxury…none of this has anything to do with identity per se, nor with what should strike our most sensitive chords. Niche market or not! What I have been doing for over 20 years stems from an approach that is both literary and olfactory, depicting areas and wastelands ignored within me. Otherwise, I do not know whether or not the world of perfume has changed. One has to sell more and thus banality is passed off as rarity and the ordinary as luxury. 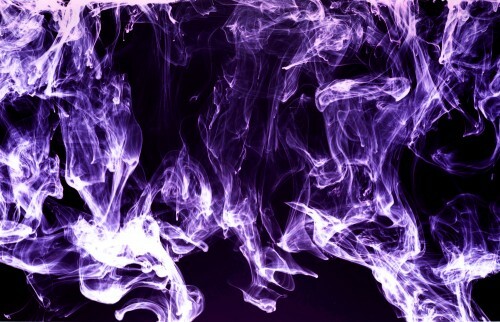 All the smoke and mirrors have nothing to do with us. At least not with me! 9. 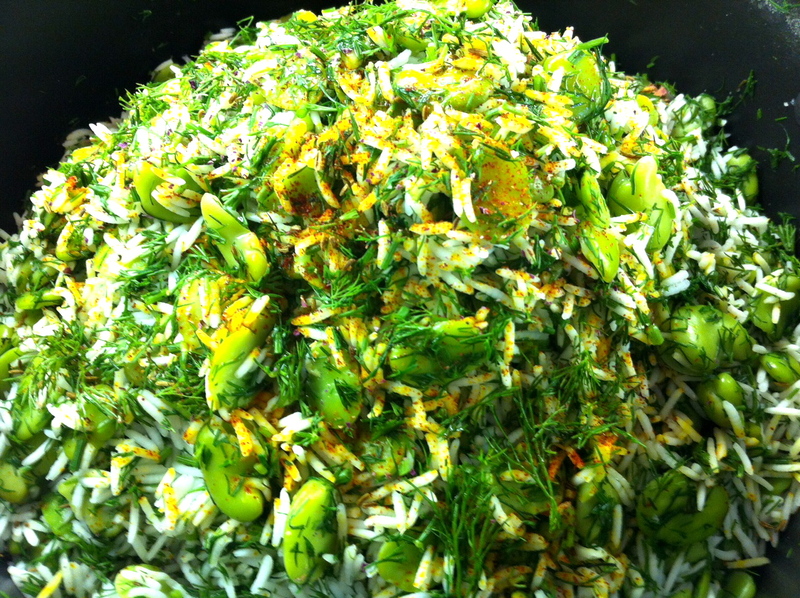 What are some of your favorite dishes or things to eat? Do you have any gourmand or gastronomic weaknesses? 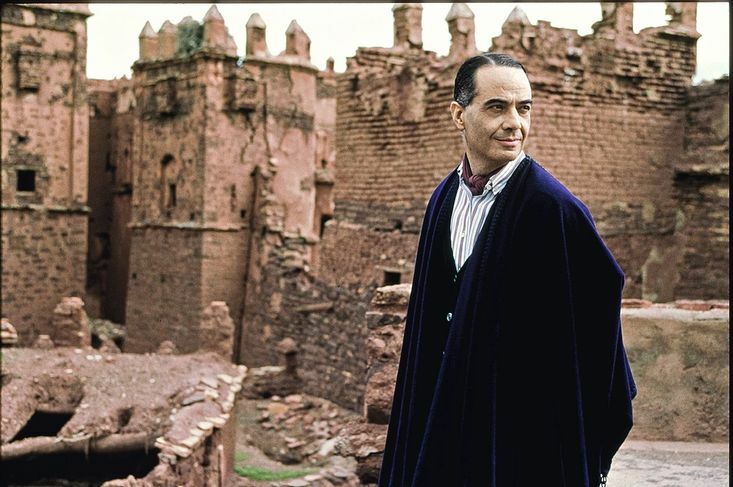 Serge Lutens in the Palmeraie Gardens, Morocco. Photo: Patrice Nagel, courtesy of Serge Lutens and Shiseido, France. Peut-être est-il logique ou destiné que tout artiste se dirige, dans le temps, vers une forme d’ascétisme, rigueur oblige ! La faim crée une tension qui me semble providentielle à celle que la création requiert. Cependant, il n’est pas exclu que cette tension puisse, d’un jour à l’autre, se transformer en un comportement gargantuesque et cette autre extrémité de la rigueur prendrait alors des proportions énormes, dont je serai l’image vivante. Toute restriction implique une autre extrémité et ceci vaut dans les deux sens. Perhaps it is logical or destined that all artists, at some point, drive themselves towards an ascetic approach, as rigorous standards may require. Hunger creates a strain I believe to be providential to the tension required by creativity. 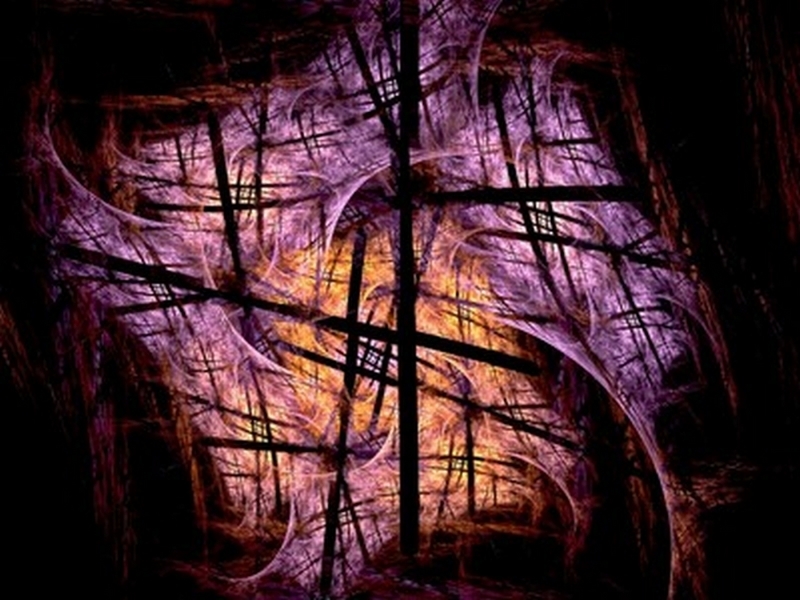 Which does not mean that that this tension cannot, from one day to the next, be transformed into gargantuan behaviour. This other extreme of rigour would then take on enormous proportions of which I would be the living image. All restriction implies an opposite extreme, and this goes both ways. 10. 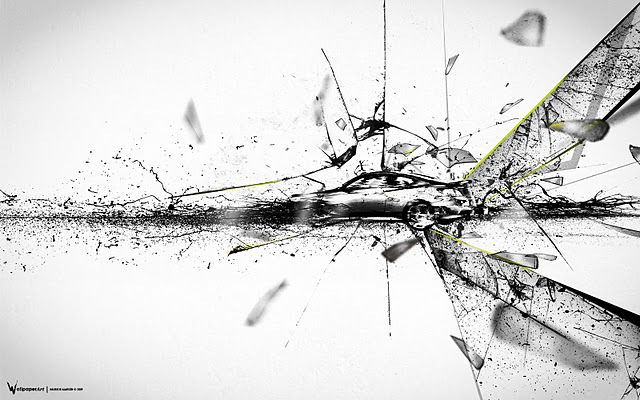 You are clearly a perfectionist, and that can come with a high price. Are there any aspects of perfectionism that plague you in particular, or that you wish you could change? Je me permets de vous contredire : je ne suis pas un perfectionniste même s’il est certain que tant que la justesse ne m’aura pas rejoint, je ne la lâcherai pas. La justesse se présente à tout moment, dans notre comportement, notre choix vestimentaire, nos attitudes, nos goûts…C’est en quelque sorte le point sur le I. Cela parait dérisoire mais sans ce point, le I n’existerait pas. Il ne serait qu’un droit-fil. La perfection pour la perfection ne pourrait pas me toucher alors qu’une erreur, une maladresse peut le faire mille fois plus, qu’une chose dite « bien faite ». Please allow me contradict you: I am not a perfectionist, even though it is undeniable that I will not let go until “justesse” has caught up with me. “Justesse” can present itself at any given time, in our behaviour, our choice of clothing, our attitudes, our tastes…It is the dot on the “i” so to speak. It may seem trifling, but without this dot the “i” would not exist. It would only be an unbroken line. Perfection for perfection’s sake does not move me, but a mistake, a blunder can touch me a thousand times more than something that is “done right”. 11. “Veni, Vidi, Vici” would seem to apply to many areas of your life, but it can’t have been easy. Which of the many worlds that you’ve conquered was the hardest? Are there any worlds or areas that you wish you had explored on a professional basis? Ce n’est pas une question de difficulté puisque c’est un non choix. Rien n’a jamais été facile ou pas. Cela a toujours été tenu par une exigence, une rigueur, un besoin d’éclaircissement pour un texte, une mise en trouble pour un parfum, une entrée dans le royaume des ombres pour le fard. C’est là au fond que je me sentais chez moi ! L’idée de facilité me ferait reculer. Je sentirais que je suis mon propre imposteur. It is not a difficult question since it does not involve a choice. Nothing has ever been easy or not. It always had to do with an exactingness, a rigor, a need for clarity in a text, a feeling of uncertainty for a perfume, an entrance into the kingdom of shadows for make-up. This is where I felt at home! The idea of ease would make me recoil. I would feel as if I were my very own impostor. 12. What do you do to relax, to de-stress, or, perhaps more importantly, to get your mind to stop thinking so much? L’esprit est occupé. S’il ne l’était pas, ce serait un temps vacant. Le temps est la seule valeur à laquelle j’accorde de l’importance. Rien d’autre que lui ne pourrait me donner ce sentiment d’urgence que j’ai toujours eu. Il met l’alarme au rouge ou, si vous préférez, la conscience de la mort depuis le début de ma vie est peut-être ce qui fait ce que j’ai fait. The mind is busy. If it were not, it would be empty time. Time is the only value I give importance to. Only time can give me the sense of urgency I have always felt. It activates the alarm bells or, if you prefer, the awareness of death that I have felt since the beginning of my life [and which] may account for the fact that I have achieved all that I have.